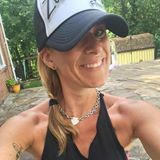 In Cheating, Part 1 I shared why I run and how it helps improve my Zumba practice. Today, I'll tell you a bit about the other ways I work out. 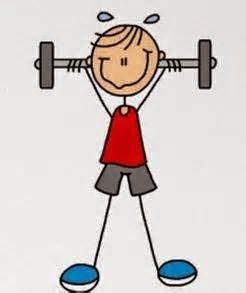 Lifting: there's nothing more satisfying than repeatedly lifting heavy things and putting them down - really! I love feeling strong and seeing increased definition in my muscles. If you have concerns about lifting, never fear - you won't bulk up (unless you want to) and you can start small. Two key pieces of advice: 1) Don't bother with the machines that isolate small muscle groups; stick to dynamic moves with free weights that use multiple muscle groups at a time, and 2) Talk to a trainer or use a web resource before you start lifting so you learn proper form. In the end, lifting will help you do more in your Zumba classes, strengthening your core and other muscles needed to be the best dancer you can be. Bikram Yoga: Yes, this is the form of yoga in a hot room. Like, really hot. So hot that every time I go to take a class, I spend the first 5 minutes trying to come up with an escape route out of the room. You get used to it over the course of 26 postures and 2 breathing exercises, and the warm temperature creates more flexibility in your joints and muscles for bigger, deeper yoga poses. Advocates of this form of yoga also say it helps detox the body and offers a range of other health benefits, but I'd say the jury is still out. For me, it's an intense workout (I get bored in regular yoga) and I go back to Zumba feeling more flexible than I was before. What workouts do you do to balance out your Zumba practice?